It's fun to write about an indulgent piece of home decor once in a while. 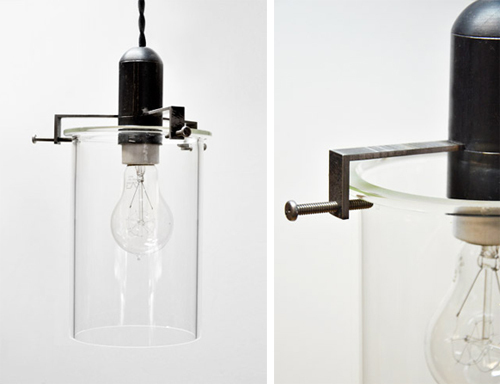 I have lots of them bookmarked on my laptop, including this recent addition of handcrafted light fixtures from Machine Shop Lighting in Austin, Texas. With a background in construction, architecture and engineering, Marc Knight creates lights that he himself would like to own- lights of superior quality that have personality, style and clean lines. 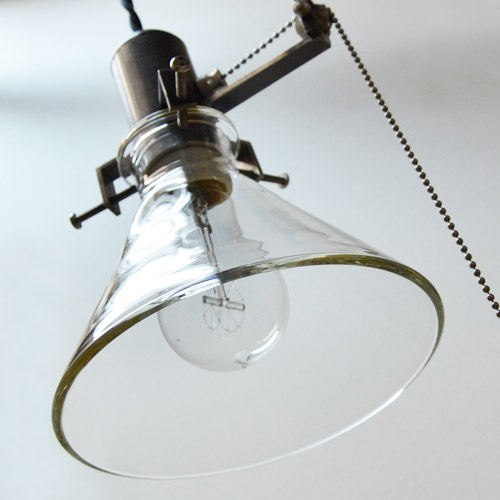 Like all of the lights Marc makes, the Lawrence Pulley, pictured above, is made using A36 raw steel and a glass cone that is crafted from 3/8" thick Pyrex glass. As the Machine Shop crew state on their site, "Our glass is made the way it should be. Hand shaped with distinct lines, strong and clear." All the metal for the fixtures are precisioned machined and fitted. The entire process places quality above all other criteria and the results speak for themelves. 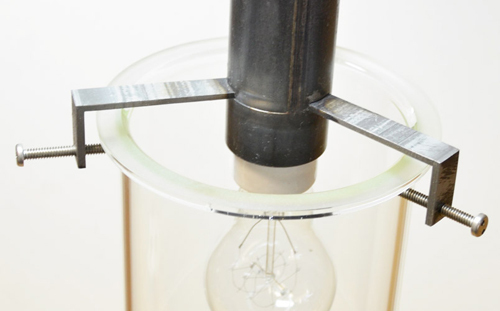 Truly stunning...Learn more about Machine Shop Lighting here.